The story of FANUC Russia begins in 2003, when FANUC opened the first CNC systems sales and support office in Moscow. Presently our head office is located in Moscow. 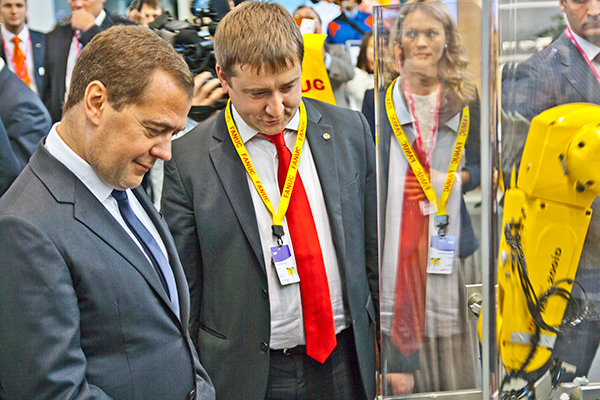 FANUC also has 5 training centers in Russia: in Moscow, Saint-Petersburg, Kaluga, Naberezhnye Chelny, and Yekaterinburg. Our company strives to make you experience the quality of our job, from the first supply contract and on every next interaction with our Customer Service. We offer a lean and flexible approach, our experts are always ready to accomplish your vision and speak your language. We are always open to new ideas and committed to our business.